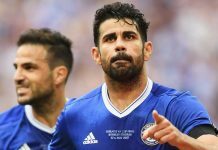 All too often in the last five years, Chelsea are guilty of loaning out players that could have made an immediate impact in the side. Former New York Red Bull, Matt Miazga, cannot be one of them. The American international has shown signs of true potential, signs great enough to justify his January transfer to the Premier League’s reigning champions (regardless of their poor title defense this season). Granted, he had a difficult game against Swansea. This wasn’t his first challenging moment in football and it won’t be his last. But he did have moments of brilliance as well. His early tackle in the 8′ was a goal-saving challenge. The youngster should remind Chelsea fans of a young Kurt Zouma. Yes just two seasons ago, Chelsea signed the young Frenchman and immediately loaned him back to Saint-Étienne. However, when he returned to the side, he was ready. Not for immediate involvement, but he was hungry to learn. There were moments where Zouma looked unprepared, inexperienced, and lost. However, playing along side John Terry made him catch up quite quickly. It forced him to be better, simply by trying to keep up with Chelsea’s captain, who happened to have one of his finest seasons himself. This is why Miazga must remain close to West London. Loaning him out will be casting him away into a system that makes no guarantees that he will return. Instead, Chelsea should keep him. He will be a substitute next season. But he can still make at least 20 appearances, while continuing to train with the first team and go up against world-class players. He’ll become familiarized with what it means to be a Chelsea player. Furthermore, incoming manager Antonio Conte is known for building formidable defenses at both Juventus and the Italian National Team. This will be a huge asset for Miazga as he can learn from one of the finest defensive tacticians in the world. If Chelsea decide to give John Terry a new contract, he’ll have the benefit of at least one more season learning under the captain as well. This will also allow him to become familiarized with Zouma’s rise to the starting lineup. He’ll find out what it takes and how he can achieve a similar career path at Stamford Bridge. Perhaps he can even begin to work with the French youngster himself. With John Terry having one foot out the door, and Cahill and Ivanovic likely to join him within the next year or two, Chelsea will need reinforcements at the centre back position. Perhaps we are looking at Chelsea’s future centre back pairing in Zouma and Miazga. While it’s far too early to tell, it is clear that Chelsea have quite the talented young man in Miazga. Loaning him out would be a waste of his potential. It’s time for Chelsea to keep some young talent close to home. The young American should be toward the top of that list.